The Sun is the most powerful natural agent affecting our lives. Learn what you can do to both minimize the negative effects and accentuate the positive attributes of sunlight in the home. For a moment, let's try a mental exercise. Picture a space -- indoor or outdoor -- that you unequivocally like. This could be a special, distant destination that you have visited only once, or it might just be a nearby space where you spend time on a daily or weekly basis. Now, while holding that pleasant place in your mind, try to think of another spot that you dislike; a place where you try to spend as little time as possible. Picture these two diverse environments side by side. Now, it is quite likely that there are sentimental or emotional reasons that you find these places either good or bad, but chances are that your comfort level in these spaces is influenced more strongly by their differing spatial qualities. Comfortable or uncomfortable, stimulating or bland, and inspiring or oppressive, the human experience of any space is dictated by just a short list of environmental variables. Elements like quantity of light, temperature, size and scale, visual interest, and noise levels culminate to determine whether a person will find an interior room or outdoor landscape inviting or inhospitable. At its most basic level, to design is simply to bring these sensory factors into an appropriate and enjoyable balance. It takes careful, informed design to create a space that properly addresses a user's individual needs and values, and if there is one place where each and every one of us gets to play the role of designer it is at our own homes. It is important that the reader knows that, for the purposes of this article, wherever the term "home" is used, it is both the residential structure and the supporting, surrounding landscape that are being considered. Like a good environmental designer, a conscientious homeowner knows that residential compositions are formed by an interior, an exterior, and all of the transitional interstices that take place between the two. Neither the front yard nor the backyard is a feature of your house; if anything, the house is an artificial structure that is grafted onto the landscape. In and around our homes, we humans design (and redesign) our living environments by making physical adjustments to the set of environmental variables. We install windows, lamps, and fixtures to modify light levels. Temperatures are fine-tuned by both simple fans and complex heating and cooling mechanisms. We shift size and perceivable scale whenever we knock down walls, add doorways, and create outdoor patios, terraces, and decks. At a whim we recolor our walls with paint, hang artwork, and install flowering and foliating plants in our gardens to improve and adjust visual interest. And while inside the home we screen noise and views by adding walls and doors, to increase privacy in the landscape, we build fences and plant shrubs, hedges, and trees. It could almost be said that, structure and parcel, the home is each suburbanite's private and entirely controllable realm. But in reality, not all forces can be controlled; some can at best only be mitigated. Whether your home is a 1,000-square-foot balcony apartment, a sprawling 1,000-acre wooded estate, or -- most likely -- somewhere in between, there are huge environmental forces that cross all property lines. Elements like regional climate, predominant winds, hydrology, wildlife, and adjacent views should be properly inventoried and addressed, but there is one single force, dominant and omnipotent above all others that can singlehandedly make or break a manmade space. That force is the Sun. When we think of the light that the Earth receives from the Sun, it is easy to picture the two extreme environments that are created by either its presence or absence. In an underground cave, with sunlight thickly blocked by soil and solid rock, one finds a place lacking natural light, and not coincidentally, a habitat nearly devoid of plant and animal life. On the other end of the sunlight spectrum, deserts, left denuded and exposed because of a lack of rainfall, are environments overexposed to sunlight that similarly are lacking in diversity and quantity of plants and animals. As human beings, we are endowed with advanced faculties for reasoning and survival, but still, where plants and animals cannot survive, we cannot thrive comfortably for long. A few decades ago, while investigating the strengths and shortcomings of urban plazas and streetscapes, social scientists, most notably among them William H. Whyte, compellingly documented people's universal tendency to relocate themselves to more optimal solar positions. Influenced by the Sun's rays and the warmth this radiation promises, summertime plaza users can be seen unknowingly shifting themselves to any available patch of shade while winter users flock to seating with direct solar exposure. The underlying conclusion here is, admittedly, quite simple: when it comes to comfort in manmade environments, it is important to get the right amount of sunlight in the right place at the right time. Like Goldilocks sampling bowls of porridge, people are constantly in search of temperatures and light levels that are neither too much nor too little but instead "just right". While this concept may seem like nothing more than common sense, maintaining a basic awareness of solar exposure is critical to the successful design of living spaces. Quite frankly, to neglect the Sun is to build your home on a weakened foundation. In terms of its daily behavior, the Sun is quite easy to comprehend. Though the exact times of sunrise and sunset vary by the season, when the sun rises every morning, it invariably does so in the eastern sky. At precisely midday the Sun can be observed at its most elevated position of the day, and at this time, "high noon," sunlight shoots down nearly perpendicularly to the surface of the Earth. Later in the day, the Sun descends from its high position, falling to the western horizon where it sets, marking the end of each day. Picturing this daily, arced journey is challenging, but the Sun's cycle has huge implications in the house and garden. The Sun's up-in-the-east, down-in-the-west arc across the sky is something that varies seasonally, and for those of us in the Northern Hemisphere, as the seasons take us from long, hot summer days to shorter, colder winter nights, this transverse arc is pulled southward. As a result of both the reduced hours of sunlight and the shallower angle from which the Sun's rays hit the landscape, winter days are not only shorter but significantly colder. A helpful visual for this annual cycle is to picture the east-west arc completing its daily cycles while riding at the end of a slow-moving pendulum. Beginning June 21st, the longest day of each year, the pendulum slowly begins swinging to the south, not reversing direction until December 21st, which is the year's shortest day. We have to step down from the sky to your home to understand the real and measurable impacts of this yearly pendulum swing. Looking beyond the more obvious seasonal shifts in temperature that can reduce human comfort and threaten plant health, we see significant seasonal variations in the Sun's "solar elevation angle." High noon is the moment of any day when the Sun appears tallest in the sky, but as summer turns into winter, the angle from which even high-noon sunlight hits your home is significantly reduced. By punching numbers into a handy gadget provided by the United States Naval Observatory, one can see this wide variation quite clearly. For example, at high noon on June 21, in Atlanta, Georgia, the Sun's rays beam down at a steep solar elevation angle of 80°; precisely half a year later, on December 21, the Sun peaks out for the day at a measly 33° above the landscape's groundplane. Until half a century ago, American homes were both sited and built with a firm awareness of the Sun. Perhaps it was the advent of air-conditioning, the automobilized sprawling of the suburbs, or a combination of the two, but today's home builders rarely, if ever, give priority to issues like sunlight angles and solar orientation. Most run-of-the-mill homes built in the last half-century have had their location and orientation dictated directly by their alignment to the street. Conventional contemporary houses' rooflines, eave depths, and interior floorplans are based primarily upon curb appeal and stylistic trends. While characteristics such as street presence and aesthetic appearance are certainly valuable considerations in designing a home, fulfilling these goals does not preclude a strong solar awareness. If you are planning on (or dreaming of) building a new home and have a particular parcel of undeveloped land in mind, the first step is to analyze your site's existing features. Identify which direction is north, observe hills or existing woodlands that might block sunlight, and take note of open fields and significant bodies of water that will enable unfiltered solar exposure. This is a crucial time to seek consultation from a landscape designer, who can provide expert assistance in documenting the landscape's opportunities and constraints. Ultimately, by combining knowledge of optimal sun exposure with other factors, including topography, soil stability, hydrology, and vehicular circulation, he or she can work with an architect or builder to identify the best location for your new house. After establishing the wisest location to build, an architect or home builder should assess you and your family's needs and preferences. Keeping the simple east-west arc in mind, consider rotating the proposed residence's footprint and smartly configuring its interior floor plan in order to provide abundant natural light where it will be most needed. Against the eastern walls of your house, locate the rooms that would benefit from the first rays of morning sunlight, and build those rooms that require sunlight in the afternoon and evening to the west. Understand that rooms with south-facing windows will generally receive the most year-round direct sunlight, and those with windows on the north side will be the darkest, only receiving ambient natural light. The architecture of your home should respond not only to the regional climate, but also to the landscape's specific solar conditions. Project roof eaves with a scientific understanding of how these overhangs will interact with seasonal solar elevation angles. It is often optimal to have high, summer sunlight blocked from entering windows but to allow the Sun's low rays to penetrate during the winter for warmth and lighting. Carefully engineered eave depths can accomplish this both effectively and elegantly. In sizing windows, imagine the amount of light needed for a particular room, and just as you would select a higher or lower wattage light bulb, select a quantity, size, and style of windows that will address your needs naturally. If you are building your new home on a sloping site and looking at plans for a multi-story or split-level structure, be sure to consider building the lowest floors into a hillside to the south. Not only does such a strategy block out and insulate from summer sun, but digging into a slope also takes advantage of the comfortable native soil temperatures that remain in the mid-60's throughout the year. Both of these benefits will result in living spaces that are more comfortable and a monthly energy bill that is more affordable. Additionally, with the increasing availability and affordability of solar panels, it is more and more feasible to consider thermal water panels and photovoltaic units to make the most of your gifts from the Sun. In all likelihood, you are not in a position to build a brand new home from scratch on an undeveloped parcel of land. However, whether you recently purchased your home or your family has been living in the same house for decades, your home could likely benefit from a solar renovation. The first step in a solar renovation is to walk through your home, compass in hand, and try to understand how sunlight is reaching (or not reaching) each room, corridor, and outdoor space. 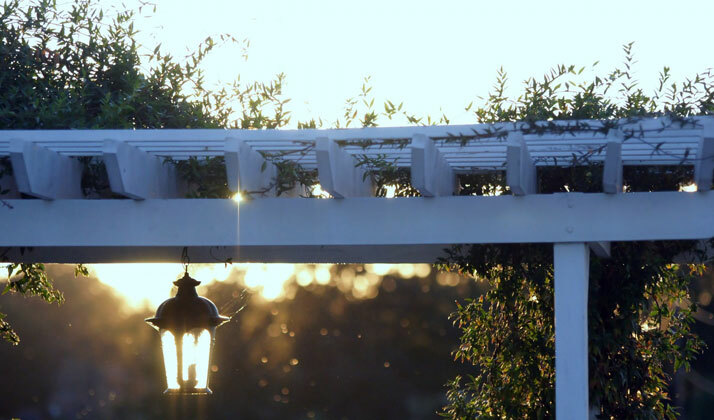 With all of your artificial lights turned off, take note of how your house is intercepting the Sun's rays, and repeat this exercise at different times of day. Ideally, if you are in no hurry to start your renovation, conduct this simple solar inventory across different months of the year. In teaching the work of one of America's most admired architects, Frank Lloyd Wright, one of my college professors once identified two overarching spatial "archetypes" in Wright's masterpiece homes. Being the conscientious, organic architect that he was, Wright recognized that human beings need rooms that possess different characteristics for different purposes. Contemplating the environmental variables mentioned earlier, temperature, scale, visual interest, noise levels, and -- most of all -- levels of light, Wright's interior spaces tend to fall into two archetypal categories: the "tent" and the "cave". 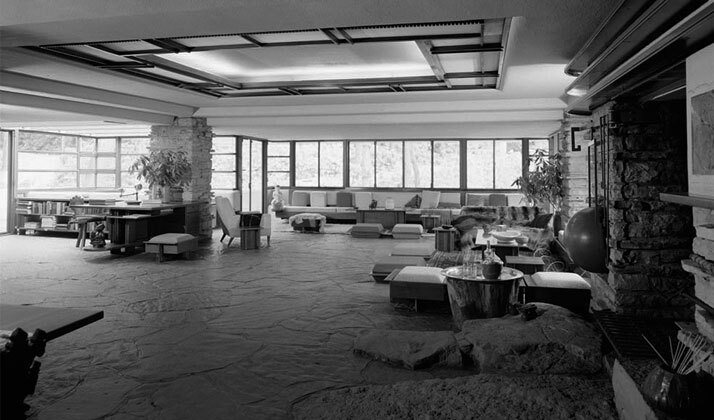 To be accurate, few interiors fall purely into one of these archetypes or the other, and even the rooms of Wright's signature residence, "Fallingwater," bleed a bit from anchored, cool "cave" to airy, sunlit "tent" across the same floor plan. However, understanding the rooms and landscape spaces of your own home within this framework can help you wisely identify how your current home is or is not taking full advantage of the Sun's light. Ask yourself some basic questions: Does bright sunlight pierce your bedroom windows early in the morning? Do you find this eastern exposure annoying or invigorating? Does your family prefer to gather in the kitchen and dining area more during the morning or in the evenings? Are these communal spaces receiving natural light when they are seeing their highest use? Do you like your home office or workshop to feel like a 'tent'? Is the 'cave' the proper environment for relaxing near the fireplace or television? What about out in your garden: does harsh, direct sunlight bombard your rear deck or patio on the afternoons when you most want to enjoy it? When studying your home's solar exposure, both inside and out, you might be able to quickly identify areas for improvement. Technology often serves our homes as a "band-aid" for underlying flaws in design; you can install an extra lamp in a dark room, hang blackout curtains in an exposed one, and give the thermostat a spin to address anything else. The best solutions, though, are always strategies that address solar problems both elegantly and sustainably, even if they take a bit more work at the offset. To illustrate the various problems and numerous solutions that might be encountered through a sunlight-conscious home renovation, here we will discuss three examples. The names have been changed to protect the innocent, but the following examples are each based on real, recurring solar challenges that emerge in residential design. First, we find ourselves at the Campbell residence. Cindy and Chuck are retired empty-nesters who just last year refurnished their informal family room and their formal living room. The Campbells placed inherited antiques, including rigid, upholstered chairs in their south-facing formal room but treated themselves to comfortable reclining couches in the family room, which is on the north side of their house. For the price they paid for their new furniture, they fully expected to spend the vast majority of their time in the informal family room, but the strange thing they have noticed is that they keep ending up in the formal living room during daylight hours. If Chuck is chatting on the phone or Cindy is looking for a good spot to quickly catch up on her email, neither of them end up in the informal family room, and even despite the less comfortable seating arrangements, house guests gravitate to the sunlit south-facing living room. In this example, the reduced sunlight exposure received by the family room is creating a cave-like environment that is discouraging its use. The two clear paths to take in this situation are either to improve solar penetration into the family room or to reassign rooms. While there is no cost-effective way to rotate the entire house, assuming the family room and formal living room have the same spatial requirements, switching one room for another could be an easy solution. If the Campbells move their comfortable furniture to the room where they have already been spending most of their time, the problem is solved. If, either for reasons of circulation or layout, room-swapping is not a workable solution, the family room's natural lighting can still be improved. If the Campbells have overgrown shrubs against the windows, they should be pruned, relocated, or removed altogether. Nearby trees can be limbed up to allow more sunlight to reach the interior. If landscape improvements do not have sufficient impact, an architectural solution could also be pursued. Additional windows could be added to the exterior walls and existing windows could be widened and heightened. Our next example is at the Davis residence, home of Denise, Dan, and their teenage daughter, Delia. Two months ago, the Davis family moved from a smaller house across town, but one of the important traditions that they brought with them is gathering for dinner every weeknight. Through expansive bay windows, the dining area of their kitchen overlooks an adjacent elevated deck, a garden below, and beautiful woodlands beyond. While the Davises anticipated their evening meals being even more pleasant in this picturesque setting, the amount of afternoon sunlight pouring in the west-facing windows is creating a hot, overexposed desert-like room. Curtains or thick blinds would bluntly block the sun exposure, but would also kill the views. Because the kitchen is on a second floor, no amount of shrub or hedge plantings will help filter the intense sunlight. The Davises have already intervened by planting a mixture of white oaks and black walnut trees west of the kitchen, knowing that eventually the trees will grow to provide a high, shading canopy on the home's exposed western face, but they also understand that with those species' growth rate, it will be more than a decade before the trees' leaves will provide ample shade. After consulting with an architect, the Davises have decided to block some of the excess solar exposure by extending the roof. Deeper eaves will block out much of the Sun's rays, without obstructing valuable views over the landscape, but they know they will need more than that. The best solution to the Davises' dilemma is a smart mixture of construction and vegetation. A landscape designer has drawn up plans for a wood-slat trellis on the western edge of the deck and installed container plantings of a flowering, deciduous climbing vine. Elegantly incorporated into the structure of the deck railing, the Davis family will now be able to look out their kitchen windows and see the vine trellis. In the winter, the vine's foliage will fall away, allowing open views to the landscape and welcoming in winter sunshine. Our final example presents a situation where modifying the amount of sunlight is not feasible, and reprogramming is the best solution. One of the features that Nancy Nelson was most attracted to when moving to her new home several years ago was its classic, spacious traditional porch. Her home is a long ranch-style building that extends east to west, and her long porch runs along the north side of the house, facing the street. A dozen mature deciduous trees stand in her front yard, and between the trees' canopy and her roof's deep eaves, her north-facing porch is relatively cool and shaded, even on the sunniest summer day. What Nancy has observed, though, is that she and her friends are not drawn to the porch in fall or spring, even when the temperature is pleasant enough to spend time outside in the garden. Without significant roof alteration or the removal of her stately, healthy trees, which she would never consider, she is out of options for bringing more light and warmth onto her porch in the cooler seasons. After brainstorming with a landscape designer, she realized that the solution lies not in changing her porch, but changing the use of her porch. Her designer drew up plans for a new garden patio to be located near the porch, but far enough away to escape the long shadows her house casts in the winter. Placed among the thick tree trunks and a manicured understory, her patio is carefully sized to feel intimate and provide space for entertaining guests, and her porch now serves as a cool-season art gallery corridor that provides access to the garden but not seating. We might not realize it, but lacking a roof over it, walls around it, or heating and cooling to control its climate, we all hold reduced expectations for physical comfort out in the garden. In the summer, it is okay to sweat a bit whether toiling away or reclining with a cold drink. In the fall, it is acceptable to catch a crisp, chilly wind while sitting in a patch of sunshine. Even if some small part of the draw of being "out of doors" is the unpredictability and uncontrollability of the physical comfort, it is important to remember that designing with a heightened solar awareness can greatly increase the hours and days that you or a guest might find your garden comfortable and enjoyable. Consider the wisest siting of the various "rooms" of your garden. Just as you might move bedrooms to the east side of a house to gain natural morning light, it might be appropriate to install an afternoon seating area in a partially shielded location on the western side of your property. Prevent probable disappointment by avoiding a northern site close to the house for a vegetable garden or swimming pool. Be aware of shadows that can be cast by adjacent buildings and tall fences. And place patios, water features, and garden paths where their intended use will match the sunlight they receive throughout the day and throughout the year. It is not always immediately obvious, but the best solution to light, temperature, and atmosphere problems inside the house can often be found in the landscape that encompasses it. 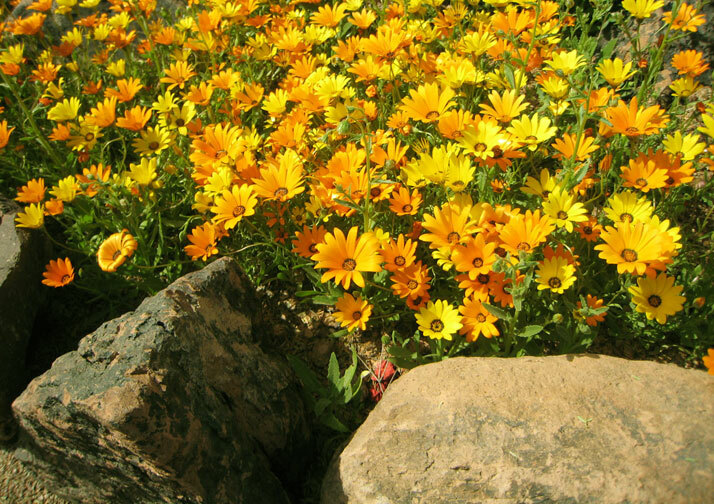 Proper selection of tree and shrub species is critical. Evergreens, including pines, hemlocks, and southern magnolias, provide reliable year-round shielding from wind and sun, and sometimes this dependable shielding is just what the home needs. Deciduous species, however, can be an even stronger (and smarter) ally in the landscape. Oaks, maples, hickories, and other deciduous trees "decide" to drop their leaves at an incredibly convenient time of year. Beginning with the cooling days of fall and continuing through the green buds of spring, deciduous trees allow warming sunlight to filter onto and into the home. Early in this article, it was stressed that the "home" is best thought of as an interrelated composition of house and garden. In a similar vein, solar improvements should be considered with both the house interior and the exterior landscape in mind. Design with the sun in mind and in such a way that the house and garden work together hand in hand. Let the sun -- like the beauty of your home -- really shine.